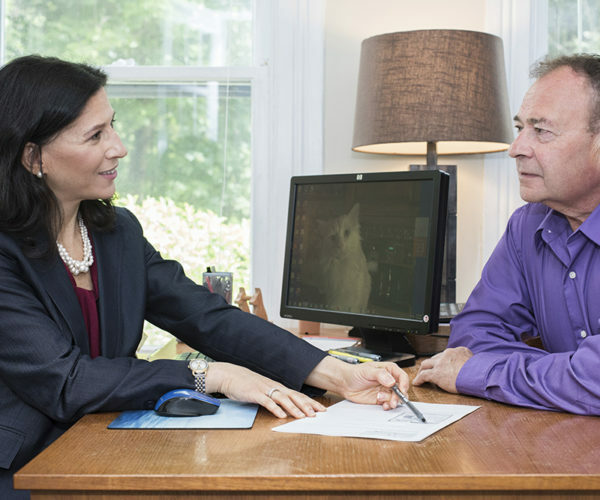 Our relationship with our clients always begin with an hour long in-person consultation. Although there are some family law offices that offer brief telephone consultations or brief free consultations, we believe that it is necessary to devote our full attention to anyone seeking legal assistance, and have found that by devoting the necessary time to fully understand and explore someone’s concerns, we can provide quality assistance. Not every person looking for legal information wants to hire a lawyer or needs to hire a lawyer, but free consultations are frequently designed to give the lawyer a chance to decide whether the lawyer wants the client, not the other way around. We always want to provide our best advice, even if our advice does not result in a person deciding to hire us. Call our office at 845-896-9651 to schedule a personal consultation. A consultation is an opportunity for you to meet with an attorney and obtain answers to any questions you might have. We meet with individuals under all kinds of situations, including people who just want information so they can think about their situation with legal knowledge, people who have been served with court papers, people who are considering a separation or divorce, people who are already represented in a family law matter and want a second opinion, people who want to enter into a pre or post-nuptual agreement. We meet with people who want to draw up a will or estate plan and people who want assistance with small business conflicts and issues. To prepare for a consultation, you should spend some time making a list of the issues that are most of concern to you, along with any specific questions you might have, so you can be sure all your questions get answered. You might want to look at our Forms, on this website. If you are coming for a general family law consultation, you could fill out the Client Information form ahead of time and start gathering the information listed under Organizing Documents, if that seems appropriate to your situation. Dissatisfied with your current attorney? We do provide second opinions to individuals who are frustrated or dissatisfied with their current attorney. Sometimes that frustration or dissatisfaction is justified and a new attorney might be a good alternative; sometimes those feelings are simply a result of the way the system works, and changing attorneys will not fix the problem. We give our complete attention to any request for a second opinion and will do our best to give you appropriate guidance. A consultation is not a decision to move forward. We often have consultations with people who are just seeking information, not yet sure what they want to do. We are happy to educate people about their situations and discuss different alternatives they might want to pursue. We are well acquainted with the resources in the community, and provide whatever referrals seem appropriate if our services are not yet needed or not appropriate. Call us at your convenience. We believe that all family matters require thoughtful, sensitive and thorough discussion and review before any action is taken and that the action should be one mutually adopted by the lawyer and their client.